Hillary Clinton is set to return to the campaign trail on Thursday after taking a three-day hiatus to recover from pneumonia. “Thanks very much for your continued patience today as [Clinton] remains home. She has spent the day catching up on reading briefings, making calls, and she watched President Obama’s speech in Philadelphia on TV. We will resume campaign travel on Thursday, more details to come,” the Democratic nominee’s campaign told reporters in an email. 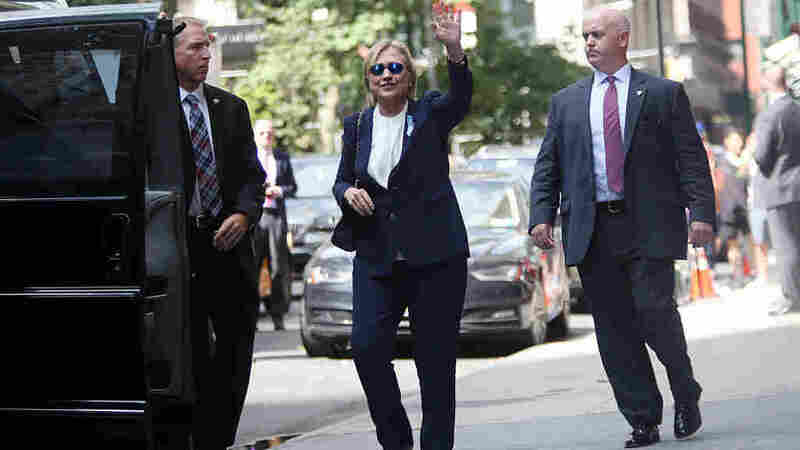 Clinton has not campaigned since Sunday, after she left a Sept. 11 memorial service after her campaign said she became overheated and dehydrated. A video later showed her losing her balance and being helped into a Secret Service van. Clinton went to her daughter, Chelsea’s, nearby apartment and left without assistance about 90 minutes later. Her campaign later revealed she had been diagnosed with pneumonia on Friday. In her stead, Clinton’s husband, former President Bill Clinton, was set to step in for his wife at a fundraiser in California and a campaign stop in Nevada. President Obama also campaigned for her today in Philadelphia. Clinton’s campaign also said it would release more information about her medical condition this week, which campaign spokesman Brian Fallon said would “put to rest any lingering concerns” about the 68-year-old’s health. Clinton’s health has been under scrutiny, with many conspiracy theorists arguing she could be suffering from Parkinson’s disease, cancer or another illness. Donald Trump has fueled some of those accusations, with the GOP nominee suggesting she “lacks the mental and physical stamina” to be president. Previously, Clinton has had diagnosed with blood clots, and in 2012 while she was secretary of state a blood clot was discovered in her brain while she was suffering from a concussion. She has since been given a clean bill of health. Southern California Gas Co. has agreed to pay $4 million to settle a case in which it faced a criminal charge associated with its handling of a massive gas leak in Porter Ranch, an affluent neighborhood of Los Angeles, last year. The utility pleaded no contest to a single misdemeanor count for failing to immediately report the gas leak to state officials as required by law when it occurred on Oct. 23, 2015. Instead the company waited three days before alerting state emergency officials. “This agreement ensures that Southern California Gas Co. is held accountable for its criminal actions for failing to immediately report the leak,” District Attorney Jackie Lacey said in a statement. 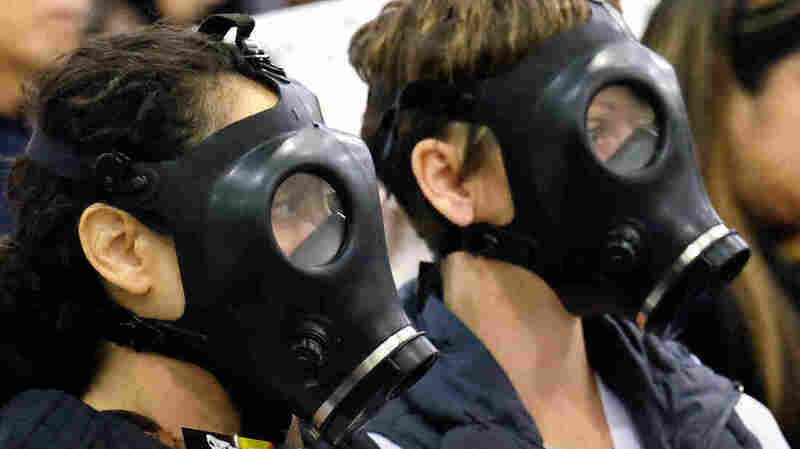 The gas leak caused about 8,000 families to leave their homes for months. Many displaced residents complained of headaches, nosebleeds, and nausea. The leak wasn’t capped until February 2016. It is reported to be the largest known release of climate-changing methane in U.S. history. The settlement calls for SoCal Gas to pay a maximum fine of $75,000 and a penalty of $232,000. The bulk of the $4 million settlement cost will come from the installation and maintenance of an infrared methane leak detection system, including the hiring of six full-time monitors over the next three years. According to the Los Angeles Times, the utility still faces civil lawsuits from thousands Porter Ranch residents, including some who are demanding the closure of the Aliso Canyon facility. But SoCal Gas officials say that facility is essential part of the company’s energy infrastructure. In the world of literary prizes Britain’s Man Booker stands out as one of the most prestigious and lucrative. So every year writers and their publishers and agents are eager to learn who made the final cut. Today the six writers who made it to the short list were revealed. Two Americans, two Brits and two Canadians are now competing for the award which is given each year for a novel written in English which has been published in the U.K. According to the award’s own website, this year’s judges were “unswayed by literary celebrity” in whittling down the long list of 13 to the final 6. Such popular writers as South Africa’s J.M. 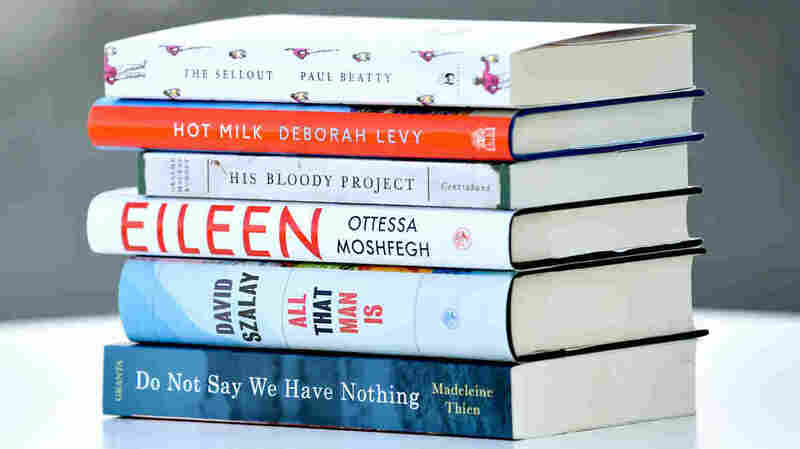 Coetzee and American Elizabeth Strout were passed over in favor of an eclectic mix of writers including debut novelist Ottessa Moshfegh for Eileen. Deborah Levy, author of Hot Milk, is on the short list for the second time. The rest are newcomers to the list: Paul Beatty for The Sellout, Graeme Macrae Burnet, author of His Bloody Project, Madeleine Thien for Do Not Say We Have Nothing and David Szalay who wrote All That Man Is. In announcing their decision the judges cited the writers’ “willingness to play with language and form.” They also noted the important role novels can have “in exploring culture and tackling unfamiliar and challenging subjects.” And these novels cover a wide range of subjects: a murder trial set in 19th Century Scotland, a satirical take on race relations in the United States, a family of musicians caught up in the political turmoil of modern China, and more. The winner of the 2016 Man Booker Award will be announced at a ceremony in London on October 25. In addition to a prize of 50,000 pounds, the lucky writer is likely to leave that ceremony with a much higher profile and very possibly a nice boost in book sales. 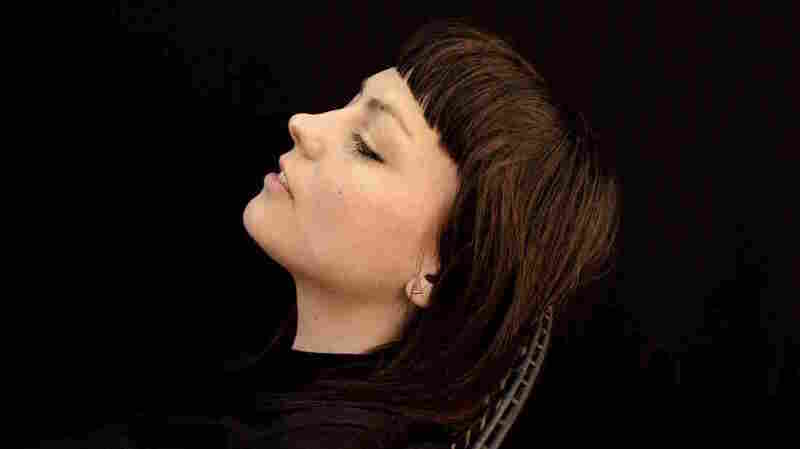 Since Angel Olsen’s first album in 2010, she’s carved out a smoky, country-flavored corner of the indie rock world for herself. Her distinctive voice delivers taut meditations on love and loneliness, sometimes with a shout and other times with more of a whisper. Her music earned her critical acclaim, but also a reputation as a tortured soul — one she wasn’t really looking for. Her new album puts that reputation to rest: It’s called My Woman, and the 29-year-old artist says her latest work reflects the fact that she’s aged a bit. Growing older has also changed Olsen’s emotional approach to performance. She says sometimes that means performing happiness for an audience, regardless of her mood. First, a confession: I’ve never liked gefilte fish. The slimy, grey balls of fish from a jar have always struck me as icky. That’s a remarkable statement coming from someone in the gefilte fish business. Alpern is half of the team behind the Gefilteria, which makes artisanal gefilte fish. Yes, that is a thing. Alpern gave me a demonstration at a catering kitchen in Brooklyn. “So we’ve got some oil. We’ve got egg, onion, sugar, kosher salt, a little bit of white pepper,” Alpern says. “We also have whitefish that I picked up from the Jewish fishmonger this morning.” She blends it all together in a food processor, along with fresh dill and watercress. Gefilte fish is Yiddish for “stuffed fish.” It’s a staple of Jewish holiday tables around the world. 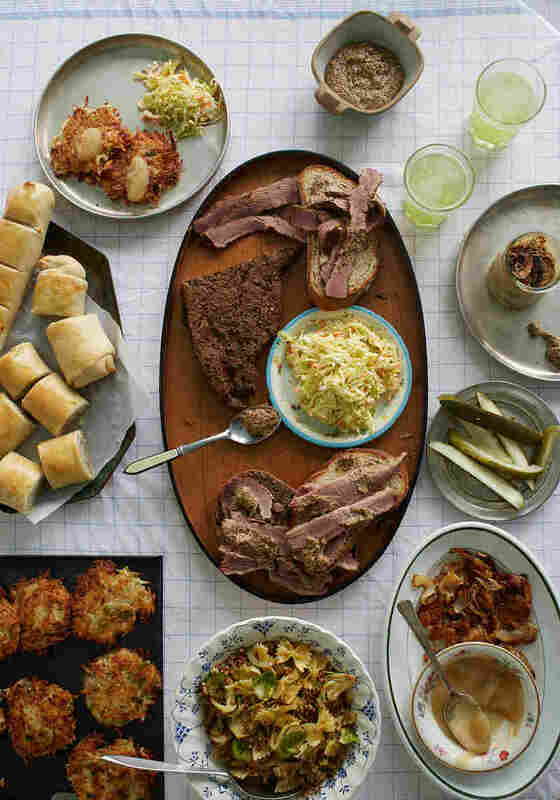 To Ashkenazi Jews from eastern Europe, it was a delicacy. But it is not so beloved by their American descendants. Ashkenazi cuisine in this country has earned a reputation for being heavy, monochromatic and bland. But Alpern and her business partner, Jeffrey Yoskowitz, say it doesn’t have to be. Yoskowitz remembers that his grandparents in Brooklyn would buy a live fish at the beginning for a week, and keep it in the bathtub until it was time to cook it. Alpern says this is a time-honored tradition that was brought over from the Old World. 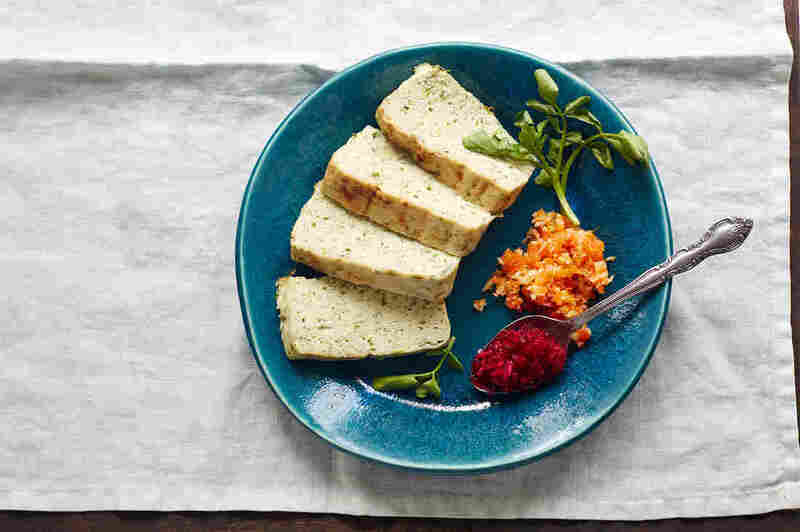 “The whole idea culturally is that this fish was so important to the holiday table — so critical, so sacred — that you would give up bathing for a week in order to have gefilte fish,” Alpern says. The stay in the bathtub accomplished a couple of goals. It helped to flush out the muddy flavor of a bottom-feeding fish like a carp. And Alpern says it also meant you could shop early and beat the holiday rush. 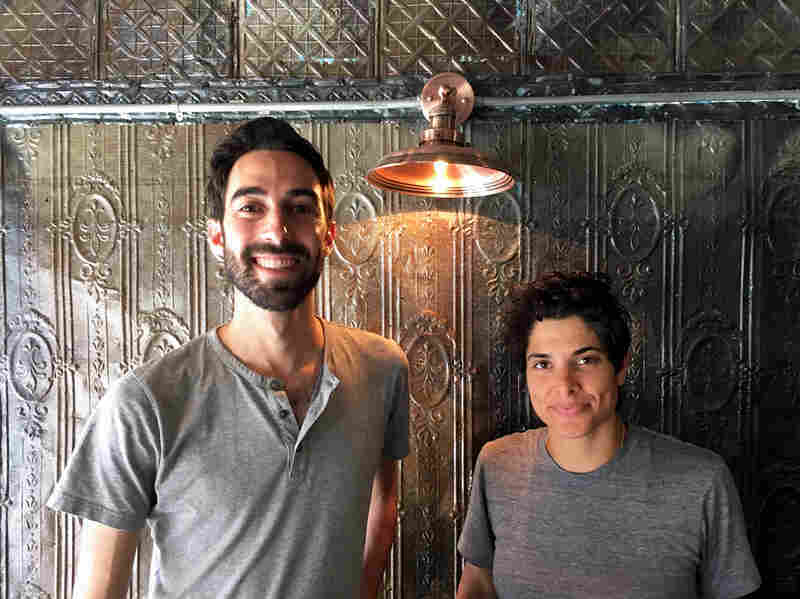 Alpern and Yoskowitz update their gefilte recipe with a trick from the Jews of Argentina. Instead of poaching the gefilte fish in broth, the way most American Jews do, they bake it in a terrine. The result is lighter, fresher and entirely less icky than the canned gefilte fish I grew up with. A lot of the recipes in The Gefilte Manifesto are about taking this food back to basics, says Alpern, with good, seasonal ingredients. But she says they’re not overly concerned about authenticity. And she says the bathtub is optional. Buoyed by the success in Oklahoma, proponents took the idea nationwide as a coalition led by Wal-Mart, Lowe’s and several of the largest retail, trucking and health care companies sought to pass similar laws across the country. Bills and draft proposals have been floated in Tennessee, South Carolina, Georgia, Mississippi, West Virginia, Wisconsin and Illinois. The Oklahoma case involved an employee at Dillard’s department store who injured her neck and shoulder while lifting shoe boxes in 2014. Dillard’s, which had opted out of workers’ comp and created its own benefit plan, initially paid for her medical care. But the company later denied her claims, insisting that any further damage and surgeries she might need were due to a pre-existing degenerative condition and not her injury at work. In a 7-2 ruling, the justices found that such opt-out plans were unconstitutional because they treated one group of injured workers differently from all other injured workers in the state. 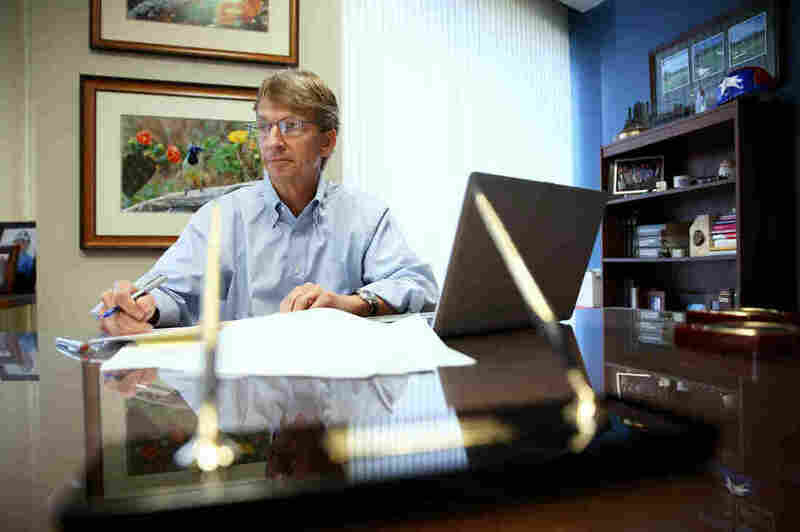 In a concurring opinion, Justices Noma Gurich and Tom Colbert noted that while most Oklahoma workers have 30 days to report an injury and can request a hearing before a judge, Dillard’s employees had to report injuries by the end of the workday and could only appeal in writing to a committee made up of people picked by the company. The upcoming presidential election will mark a surprising first. Yes, a woman will be on the ballot as a major party nominee. But in addition, for the first time ever, the Organization of American States is sending poll observers to watch as U.S. voting takes place. The OAS, based in Washington, D.C., has previously observed elections in 26 of its 34 member nations, but never before in the United States. The mission will be led by former Costa Rican President Laura Chinchilla. Gerardo de Icaza, the OAS director of electoral observation and cooperation, says “a small deployment” of 20 to 30 observers will be sent at the invitation of the U.S. State Department. He says the OAS views it “as a learning experience” and will issue nonbinding recommendations “that can improve the electoral system anywhere.” Those recommendations will be shared with the other OAS members. “The Department of State greatly values the OAS’s important work promoting free and fair elections throughout the region and invited the OAS to observe the U.S. electoral process this fall. As a member state of the organization and a signatory to the Inter American Democratic Charter, we welcome OAS observation as an opportunity to demonstrate the United States dedication and support for this important function of the institution,” State Department spokesman Mark Toner said in a statement to NPR. The OAS will send observers to 10 states. De Icaza said they’re still determining which ones but the participants will only go to states open to international observers and will be looking for geographic and political diversity. 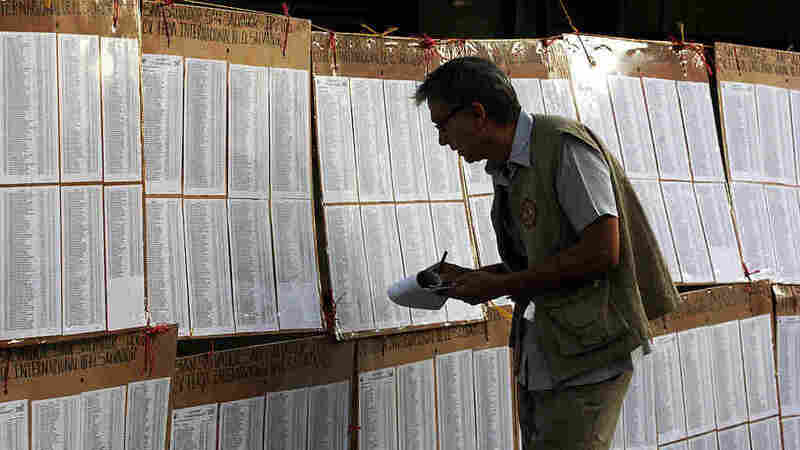 De Icaza added the OAS also wants to go to states with different ways of voting, including those that require picture IDs, and ones that allow same-day registration. “We will be trying to have a very global, but a very plural way of seeing the election here in the U.S.,” he said. As it has done previously, the Organization for Security and Co-Operation in Europe will also be observing the election. The U.S. has often sent observers to watch elections in other countries, but some may be troubled by outsiders watching Americans vote. De Icaza, however, argued that observers are not just for emerging or weak democracies. As protests over the Dakota Access oil pipeline keep growing, those in favor of the project are beginning to speak out — even as the company stops work on the pipeline. Miami is starting to use a new technology for reducing mosquito populations that was recently approved by the Environmental Protection Agency for emergency use in areas where there is Zika. It’s a type of trap that attracts females and contaminates them with a larvicide they then spread to other breeding sites. Hillary Clinton’s pneumonia diagnosis has reignited questions about the health of presidential candidates. NPR’s Audie Cornish talks with Dan Diamond, a reporter for Politico.